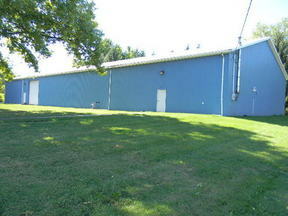 WAREHOUSING / INDUSTRIAL 10,000 sq.ft. total, most of the interior of this building is open, with the exception of a few offices divided off. This single floored, concrete floored building has a ceiling height of 14 feet. Lease: minimum term 2-3 years at $ 3,500 per month. Build-outs to be completed by tenant. This is a great, all-insulated building and ready for use. $3,500/mo, plus utilities.